David's credits include: FRIENDS WITH KIDS starring Jon Hamm and Kristen Wiig, MAIN STREET starring Colin Firth, Patricia Clarkson, Orlando Bloom, and HOWL starring James Franco. His work in theater includes, the innovative original productions of RENT, HAIRSPRAY, THE CAPEMAN, HEDWIG AND THE ANGRY INCH, MARTIN SHORT: FAME BECOMES ME , THE CRYPTOGRAM with David Mamet, and WRITER'S BLOCK with Woody Allen. Please go to MY ACCOUNT to create your One on One Webpage. It's especially important so that the casting director for this workshop can view your webpage! The area to build your webpage is located under "My Account." Please look for your sides to be posted approximately 1-3 days before the class. David Vaccari casts Film, TV, Commercials, and Theater at Telsey & Company. His recent projects include TV shows for Showtime, ABC, NBC and Netflix. 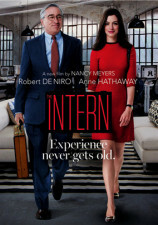 Recent films include THE GREATEST SHOWMAN, THE INTERN, FOCUS, and A MOST VIOLENT YEAR. Other films include: HOWL, JONAH HEX, Gus Van Sant’s RESTLESS, PARANOID PARK, FINDING FORRESTER, Jonathan Demme's RACHEL GETTING MARRIED, THEN SHE FOUND ME, ACROSS THE UNIVERSE, IRA AND ABBY, RENT, PIECES OF APRIL, THE BONE COLLECTOR, and KEANE. Previous TV includes PENNY DREADFUL, FLESH AND BONE, LINE OF SIGHT for AMC, A GIFTED MAN on CBS, and SMASH on NBC. His work on musicals includes the original casting of RENT, THE CAPEMAN, HEDWIG, MARTIN SHORT: FAME BECOMES ME, and HAIRSPRAY. Plays include GLENGARRY GLENROSS and THE CRYPTOGRAM by David Mamet, and A SECOND HAND MEMORY and WRITER'S BLOCK by Woody Allen.